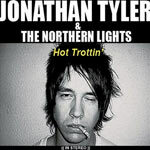 Jonathan Tyler & The Northern Lights Biography, Discography, Music News on 100 XR - The Net's #1 Rock Station!!! Hailing from Dallas, Texas USA, Jonathan Tyler & The Northern Lights first began to take shape when childhood friends Jonathan and Kansas -- AKA Brandon Pinckard -- began playing guitar in their teens. With shared common influences ranging from Southern-Rock to roots music to Soul the two were compelled to write and play together. From the start it was Jonathan Tyler on vocals, playing a mean, bluesy lead guitar, with Kansas on rythym adding a harder rock edge, a combo that was instantly right. Several years and incarnations later, they were joined by Nick Jay on bass and drummer Jordan Cain. After being together for less than a month, the four-piece went into the studio to record their first indie record, "Hot Trottin'". With their album in hand they hit the road. The live show continued to evolve when Emotion 'Mo' Brown -- AKA Camika Spencer -- on additional vocals and tambourine, joined the band a few months later. 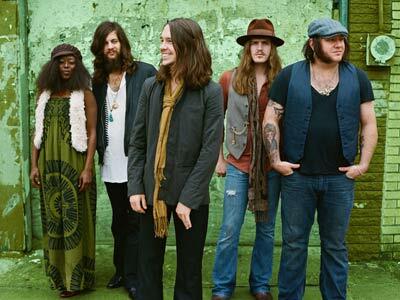 The band has opened for the likes of Heart, The Black Crowes, Deep Purple and many others. 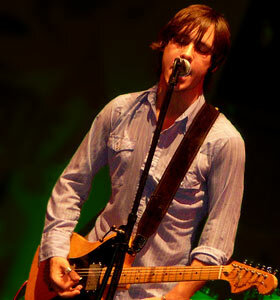 Jonathan Tyler & The Northern Lights signed to Atlantic's F-Stop Music in late 2008 and in April 2010 issued their major-label debut album "Pardon Me", which peaked at #8 on the Billboard Top Heatseekers chart spawning the Active Rock radio top 40 hit "Gypsy Woman".